Robur is an electronic grinder-doser with conical mills and rotation at low revolutions that offers the possibility to adjust micrometric grinding in a continuous way. 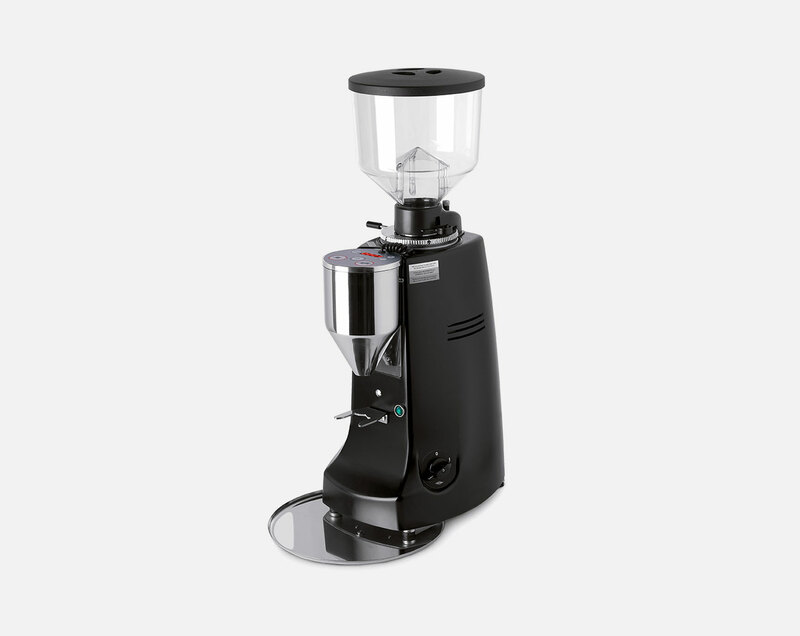 In addition, the conical mills prevent ground coffee from heating, even when they are in use for several hours during the day. This model allows grinding coffee instantaneously through the electronic dose selection device, which can be adjusted as desired for both single and double doses. An additional useful feature is the counter for ground doses, available on the display. Robur is the ideal solution for location with high traffic, thanks to the electronic ventilation of the engine, which is kept cold even when the machine is under strain.